"These are so yummy! My family makes every Christmas morning. Enjoy!" 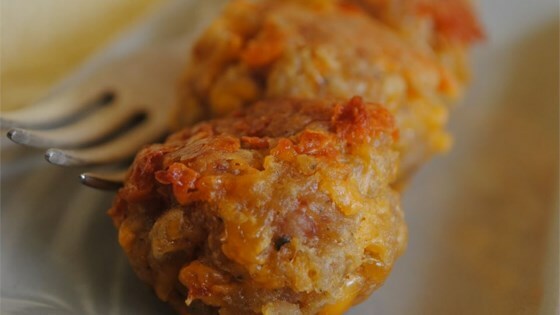 Cook's note: Pre-cooked sausage balls may be frozen and then reheated at 350 degrees for 10 minutes. I tried this recipe but with one change..use stove top stuffing instead of baking mix..it adds so much flavor!!! !